£55m two stage D&B eleven storey redevelopment with offices and retail. The project involved stripping the existing building back to frame and adding extensions. 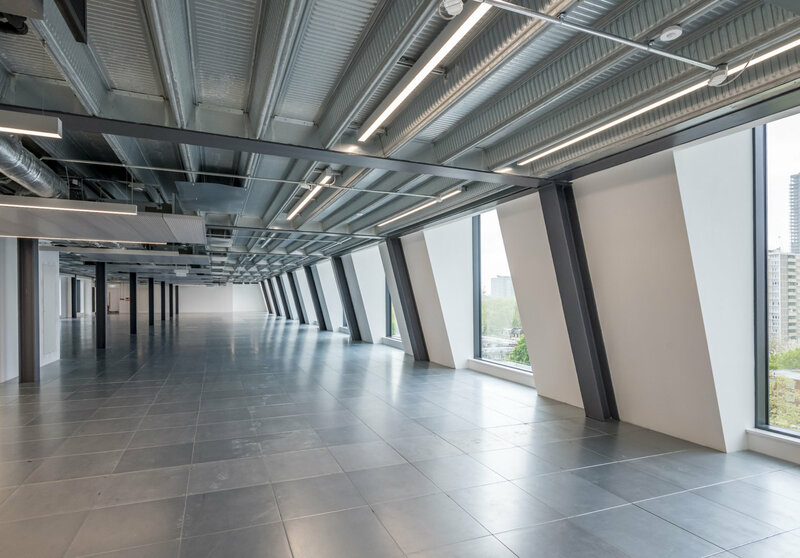 The project saw the transformation of the former Royal Mail offices in London’s Old Street. The existing ‘E’ shaped building in front of Old Street, Bunhill Row and Banner Street was stripped to its structural frame and re-clad with new façades of glazed white bricks and coloured glazed panel. The layout was re-configured and extended, creating a new pavilion along Bunhill Row. The lower levels, previously a car park and back of house space, were converted into new offices space with access to inner landscaped area. A rooftop extension, roof terrace and green roofs were added to create green spaces.